The recently released 2015 Independent Physician Outlook Survey, entitled “Threats to Independence,” explores the state of independence in the medical field from the physician perspective. The survey covers an array of topics and was conducted and prepared by ProCare Systems, a medical practice management consultant company. The healthcare industry is the focus of our Atlanta/Augusta, Georgia business law firm. In many business industries, the choice to be big versus small involves consideration of competing pros and cons. The healthcare industry is no exception. Physicians, as highly educated professionals, tend to be independent by nature and prefer to call their own shots. Yet the current regulatory and business environment for physicians makes independence more challenging than ever for many doctors. For some time, the healthcare industry has seen a trend toward value- and outcomes-based healthcare delivery models with many new administrative challenges and continuing downward pressures on reimbursement, necessarily involving many changes for physicians. The economic and regulatory pressures of healthcare reform are perpetuating frustration and financial strain for physician practices, pushing many doctors toward employment by larger health care systems. However, the ProCare report also shows that most doctors nonetheless continue to prefer independence and that many opportunities to reclaim independence will exist for smaller physician practices with agility and a greater ability to be innovative and efficient in the evolving regulatory environment. In any event, the reported survey results may provide interesting information for doctors and other health care professionals and health care businesses. Although there continue to be many frustrations for physicians who desire independent medical practices, the survey suggests that many opportunities will emerge in the coming years for independent practices. – 44% indicated they are likely to sell their practice at some point in the next decade. – Surveyed doctors ranked escalating costs and downward reimbursement pressure as the most challenging aspect of running a medical practice, followed by the difficulty of maintaining referrals. – 70% of responding doctors identified “specialized nature of their practice within the local healthcare community” as the most critical factor preserving their ability to remain independent. – 88% of the responding physicians foresee a future in which their ability to provide value, defined according to what is perceived as the delivery of quality care and cost management, will drive reimbursement. – 51% of the responding doctors indicated interest in exploring innovative business models and capital structures in order to improve their independence. – 70% of responding doctors anticipate that their future as doctors will be significantly affected by the Affordable Care Act. 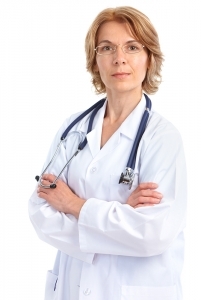 Our law firm advises and represents physician practices, other health care professionals and health care businesses. If you have questions about this post, contact us at (404) 685-1662 (Atlanta) or (706) 722-7886 (Augusta), or by email.